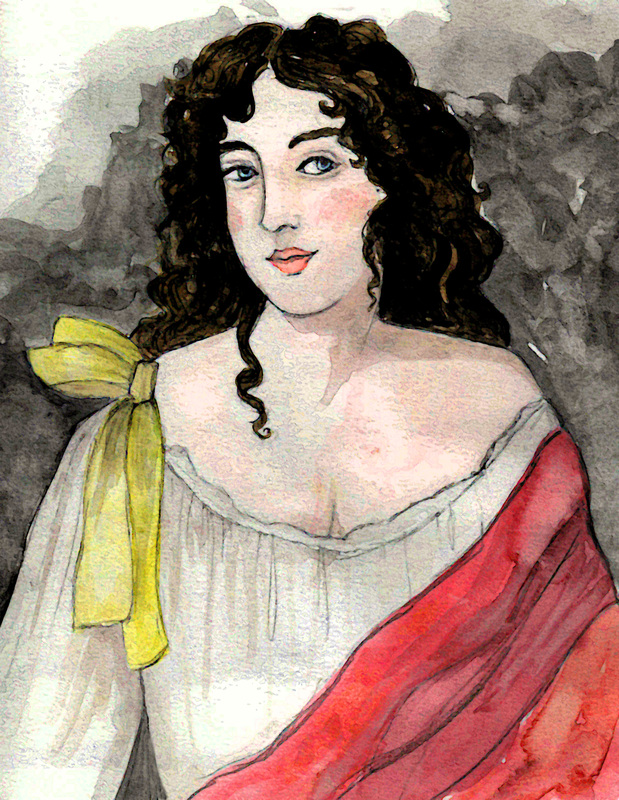 Actress, comedienne, orange-seller, and Mistress to King Charles II! Her early life is somewhat sketchy as different sources say different things about who her parents were and where she was born. There are some that say she had many jobs as a child including bawdyhouse (brothel) servant, a street vendor for herring and turnips (my stomach just turned) cinder-girl, orange-girl, etc. Needless to say, her story has a rags-to-riches/cinderella-esque plot. When Charles II was restored to the throne, the arts flourished. Around that time, Nell attended a school for young actors. Her first performance was in a drama performed in March of 1665. However, comedy and satire was more her thing. She quickly became a star and became the mistress of several admirers. Her affair with Charles began in 1668. It was a public relationship and because of the publicity, her performances drew larger, and very curious, crowds. The affair lasted a lot longer than most expected and Charles made a deathbed wish for his Nelly to be well cared for after he was gone. His brother, James II, honored his brother’s wishes and gave Nell a pension, paid off her debt, and paid off her mortgage (holy awesome brother-in-law) but he also pressured Nell to convert to Roman Catholicism. She did not. In 1687 she suffered from 2 separate strokes and died. She had two sons with the King: Charles Beauclerk, 1st Duke of St. Albans and James Beauclerk.